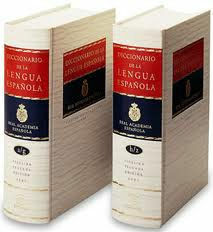 Languages continuously changing, and they do it in such an special in lexical component Therefore dictionaries are never finished: they are a living work which strives to reflect the development and addressing new forms of meaning mutations.An special care has to be put in it that by the academic Dictionary which has a standard setting in all Spanish-speaking world. The Royal Spanish Academy and its twenty one asociated Academies are working together at the service as one language trying to improve and update a Pan-Hispanic dictionary character. Everything shown in the SRA dictionary is the result of that study and peer approval. Until recently the publication in its book form was the only chance of fixing and transmission. Electronic resources available to us today make possible a different mode of action. The Academic Dictionary is now a computer database, which allows better control of its contents, provides an ease of review and, above all, makes compatible different phases of the work without the easements required for the printed edition. Hence the commitment to go public on a biannual basis by the additions, deletions and amendments to the Royal Spanish Academy and their associated schools are approved. 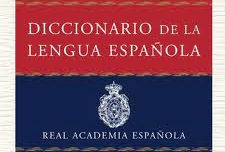 Thus the spanish speakers who access the website of the Royal Spanish Academy may provide the document containing the text of the last paper edition, in this case, its twenty-second, 2001 - and, while the passed set of amendments . Therefore, among the several possible models of organization the one clearly keeping the separation between the two documents has been chosen. The consultants initially acess the twenty-second edition, and in cases where a new record or an itemits been added or modified, they will see a warning screen which will allow them to see the new version. Since April 2005 the Royal Spanish Academy offers all the changes approved since the end of the printed edition until July 2010. The website of the Dictionary of the Academy incorporates, from that moment, the 2996 amendments approved by the Corporation after December 13th, 2006 and before June 28th, 2007, as well as some others, outside of this period, the Academy has deemed essential to include.